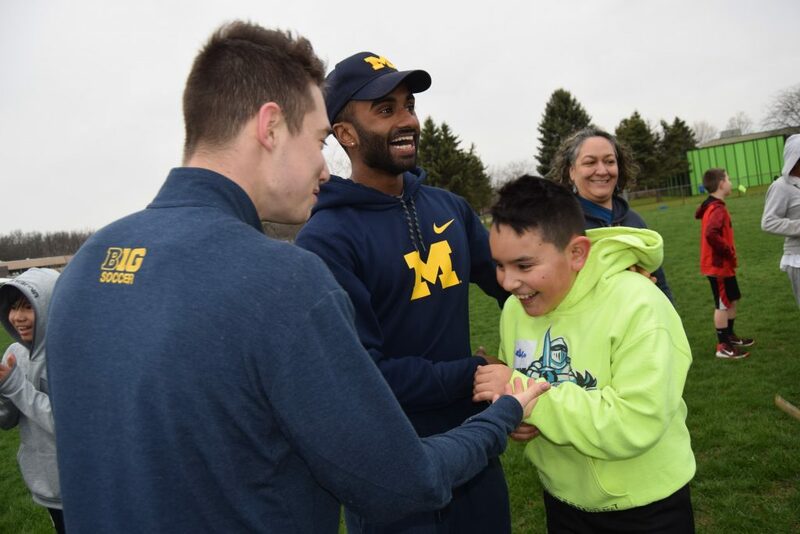 Scarlett Middle School’s sixth grade bilingual students, as well as some of the seventh and eighth grade emerging bilingual students, have been working with the University of Michigan soccer team over the past few months to design a community service project. The result was a Fun Run passport booklet they made for Mitchell second graders. The middle schoolers then met with eight members of the soccer team Thursday to set up six educational stations at Mitchell Elementary. The older students then helped second graders have a whole lot of healthy fun at each station. My name is Kevin I’m a 8th grader at Scarlett. And my role during the fun run was the time keeper. As the time keeper I had to remind ever station how many time they still have. Something I learned in the fun tun was how to build your AB power and do push up. It was fun to work with University of Michigan soccer team and Mitchell’s 2nd graders.We had a great time. My name is Mauricio and i am in 8 grade that the fun run it was fun and the best part is that we help the kids from 2nd grade to speak Spanish like lagartijas,sentadillas,correr,and la estrella. something i leaned in the fun run is that all the schools they need to eat more healthily and exercise and have a good life. My name is Eric jr and my role during the fun was explained the students how to dojumping jacks for 30 seconds something I learned during the fun run was that teaching the students to do exercies. Thank you University of Michigan! My name is Cindy and my job during the Fun run was to help run station #5. The name of station #5 was Aerobic Fitness. 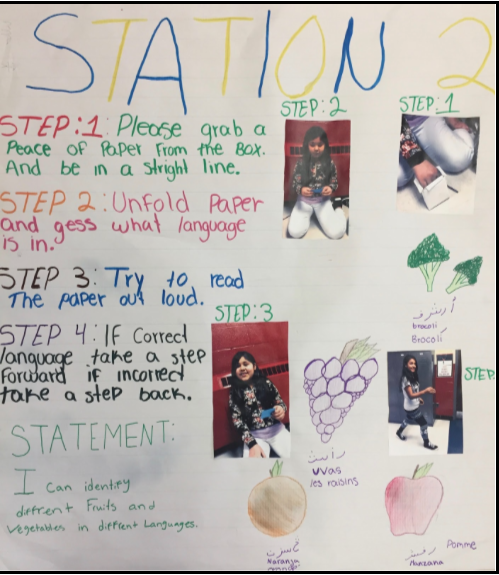 My station is about teaching the student about healthy living. Something I learn in the Fun Run was that if you work hard you will get what you want. It was happy to meet them. My name is Fernando and my role during the fun run was to teach Spanish and fitness to children.Something I learned during the fun run was games. I was so happy to know Ivo and the other soccer players! My name is Y and i am in 7 grade at scarlett I helped with the fun run by teaching the chidren the words strong and healthy in vietnamese.We helped the chidren do push-up and sit-up something i learned skill soccer.Thanks Tristan and Ryan from Michigan soccer. My name is Tioluwani and my role during the fun run was leading.Something I learned in the fun run was how to be a risk taker and how to coordinate others. My name is Tioluwani and my role in the fun run is leading.Something I learned in the fun run is how to be a risk taker. my name is reayyan and my roll in the fun run was to be a team leader. something i learned during the fun run was exercising is good for your health. my name is daye and my role during the fun run was to be a team leader. some thing i leared during the fun run was how to learn second graders healthy living. My name is Laksman and my role during the fun run was to be a creator and a leader. Something I learned during the fun run was that I learned how to help others learn even when I have a lot more new things to learn about. It is always good to help the next generation not to do the mistakes you have learned in you life. It was fun to work with the Michigan soccer plays to help us to teach the second grades about health living. It was fun working with the Michigan soccer player to help us to teach the second grades about the health living. It was fun working with the Michigan soccer player to teach the second graders about the health living .